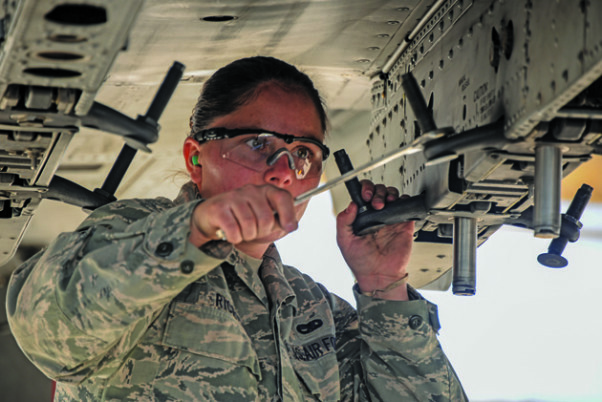 U.S. Air Force Senior Airman Linsie Rice, 355th Aircraft Maintenance Squadron weapons load crew member, prepares to secure a missile onto an A-10C Thunderbolt II during a load crew of the year competition at Davis-Monthan Air Force Base, Ariz., Feb. 5, 2016. 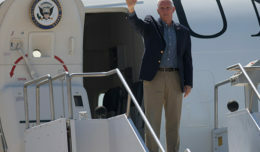 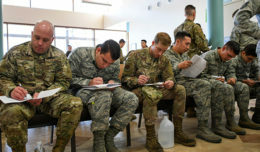 The load crews were evaluated on timeliness and deficiencies during the contest. 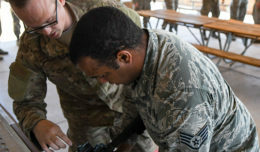 U.S. Air Force Senior Airman Kaylah Cook, 12th Air Force knowledge manager, crawls on the ground for help while simulating an aircraft crash victim with a broken leg during the BUSHWHACKER 16-02 Aircraft Crash emergency management exercise at Davis-Monthan Air Force Base, Ariz., Feb. 24, 2016. 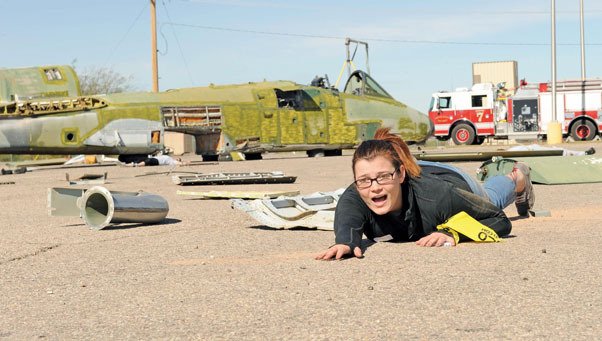 Forty-five Airmen volunteered to simulate crash victims to make the exercise more realistic. U.S. Air Force Col. Jeremy Renner, 355th Fighter Wing vice commander, and Chief Master Sgt. 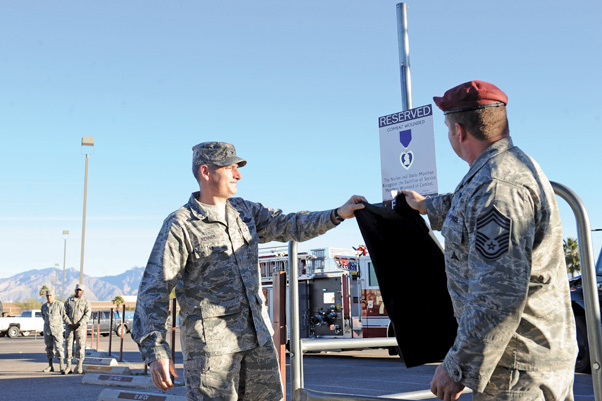 Robert Disney, 48th Rescue Squadron superintendent, unveil the Purple Heart recipient reserved parking sign in the Exchange parking lot at Davis-Monthan Air Force Base, Ariz., Feb. 4, 2016.The sign was sponsored by the First Sergeants council who worked with multiple agencies around base to dedicate the parking space.